Former UNLV assistant coach Stacey Augmon, who helped lead the Rebels to the NCAA basketball championship in 1990, did not provide specifics during an interview at the NBA Draft Combine. 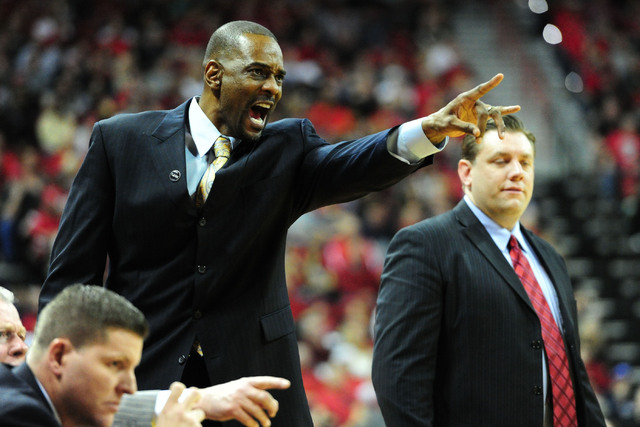 CHICAGO — Former UNLV assistant basketball coach Stacey Augmon said Friday he was headed back to the NBA to coach. Augmon, who helped lead the Rebels to the NCAA championship in 1990, did not provide specifics during an interview at the NBA Draft Combine. It is expected he would be an assistant coach in the NBA. Augmon’s NBA background is as deep. He was an assistant for the Denver Nuggets for four seasons before returning to his alma mater.